This story was originally published on Little Lake County in 2016. A change of scenery is always a good thing! 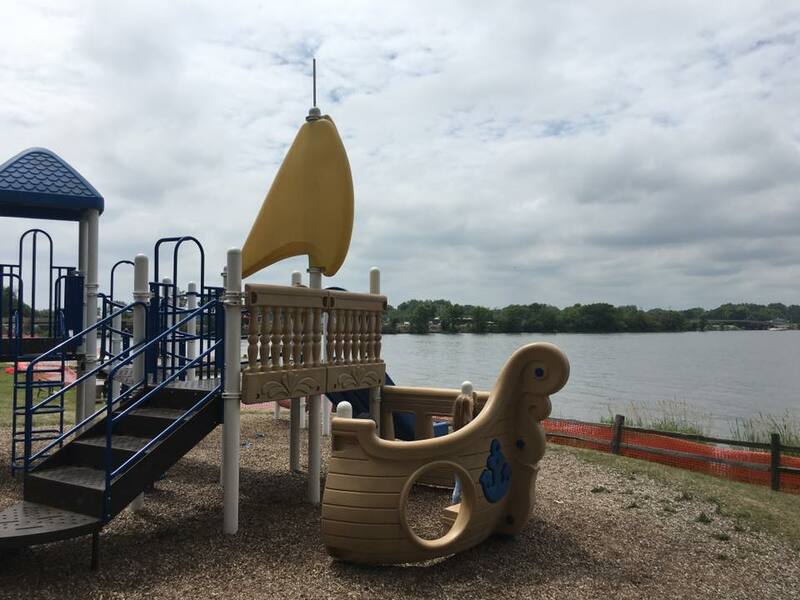 Check out Lakefront Park in Fox Lake this summer to take in the cool lake breezes and Chain O’ Lakes views. 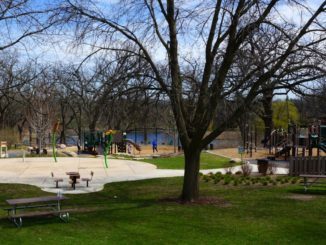 Tucked behind the train station and downtown Fox Lake, under towering trees, Lakefront Park has expansive water frontage and beautiful vistas of Nippersink Lake and Fox Lake. 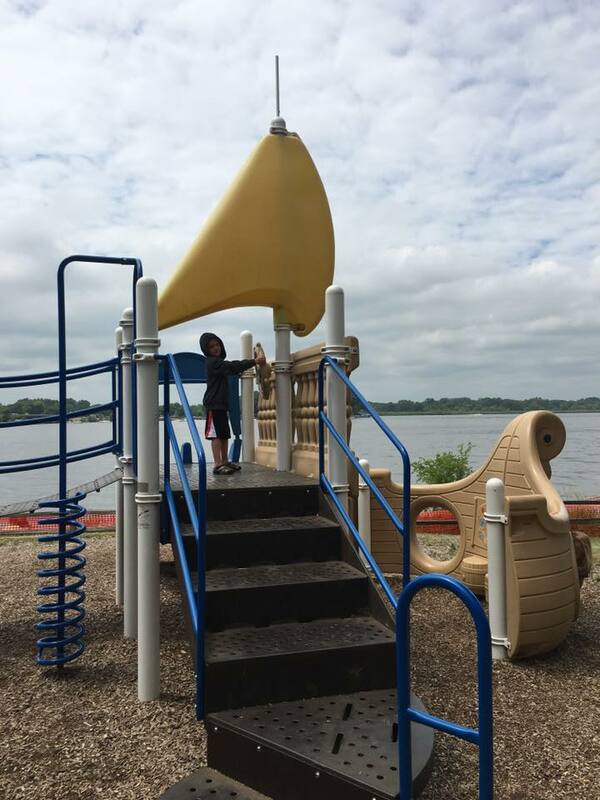 In addition to the cool ship-themed play structure, the park has four big swings, two bucket swings, and a barrel-roll climber. 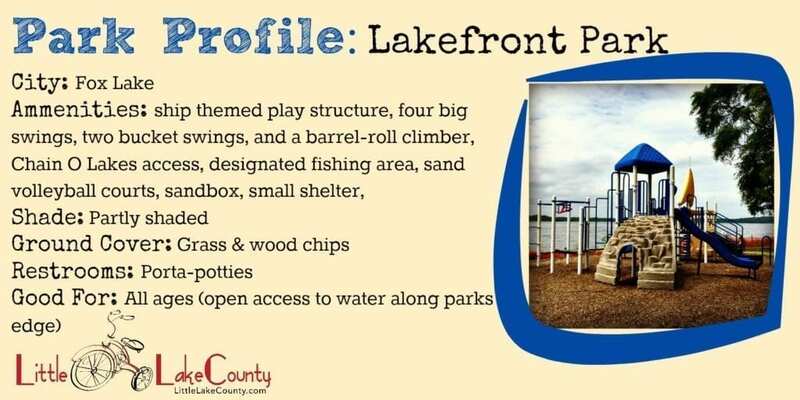 There are also benches, a small pavilion, sand volleyball courts, and a designated fishing area. There are endless sights to take in from Lakefront Park. If you’re lucky, you may catch a train crossing the bridge to the south, and lots of boats will cruise by. 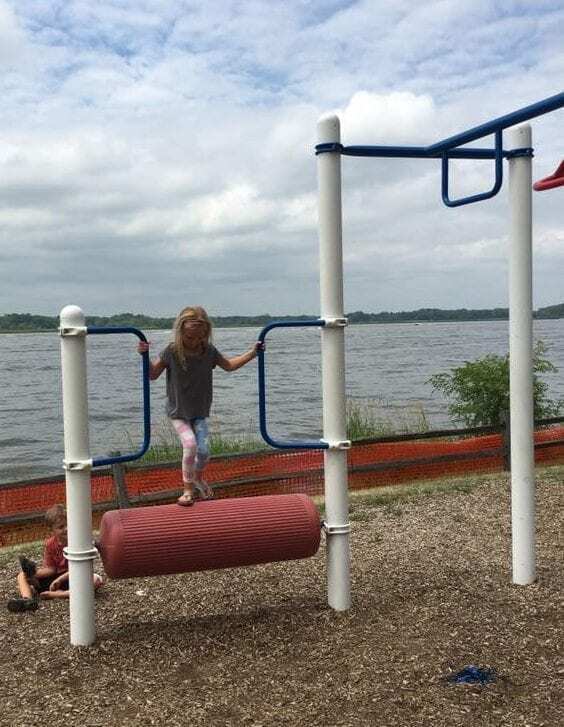 The playground is great for all ages, but if you have a runner or little one that will be fixated on the water, this may not be the best park for you. There is intermittent split-rail fencing throughout the park, with lots of open access to the lake. The sections of orange snow fence you see in the pictures are not usually there. We visited and photographed the park the day after their fireworks display; it was put up for safety reasons. 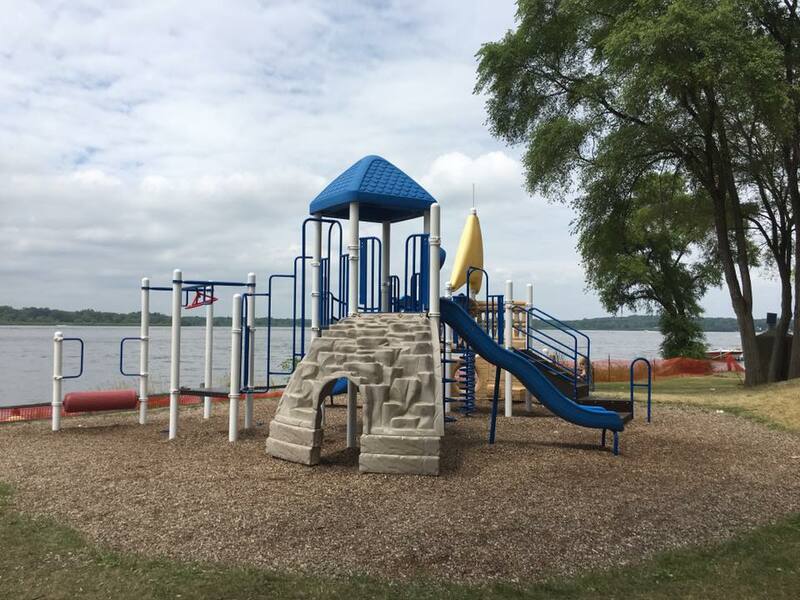 Lakefront Park is the perfect spot to bring your picnic and spend an afternoon playing, fishing, soaking up the sun, and taking in the lake. Visit the park on Saturdays and Sundays through August 28th and you’ll find a food truck, too. 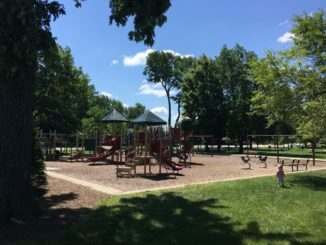 The park is in the heart of the Fox Lake community, and there are many special events that take place there. The large community room space is available to rent for private events, too.